Dr. Brad Turner - Dr. Brad Turner is a Twin Falls Chiropractor that utilizes the Atlas Orthogonal technique . At Turner Chiropractic, our mission is to maximize the quality of your life by utilizing the latest state of the art techniques. 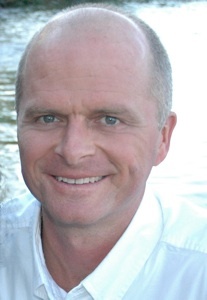 Dr. Brad Turner is a Twin Falls Chiropractor that has been serving the Twin Falls area for 25 years. Dr. Turner is one of 2 chiropractors in the state of Idaho and one of less than 400 worldwide that utilizes the Atlas Orthogonal technique. This is an upper cervical (neck) technique that focuses on the top vertebra of the spine which is called the atlas. When the atlas is in the correct position it can dramatically affect not only neck conditions and headaches, but lower spine conditions as well. The treatment is done using an instrument with no popping or cracking of the neck. It is painless, safe and effective. We welcome difficult cases who may have not responded to other forms of treatment. To learn more about Atlas Orthogonal and how it differs from other forms of Chiropractic click here. In addition he utilizes a number of other techniques to safely and effectively treat the entire spine. This video discusses the use of Atlas Orthogonal Chiropractic treatment on former NFL great Jim McMahon. He has suffered from effects of injuries to the brain and neck from years of playing football in college and the NFL. Atlas Orthogonal treatment has had a dramatic impact on his life as it can for yours. To see more videos about Atlas Orthogonal click here.